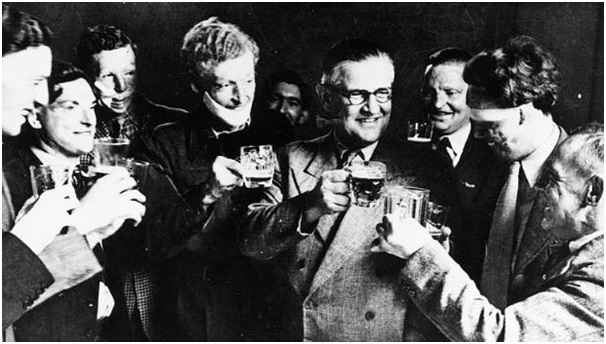 McIndoe was born in 1900 in a town called Dunedin, NZ. He graduated from the medical school of the University of Otogo in 1923. In 1924, he was awarded the very first New Zealand fellowship to the top Mayo Clinic in America. He spent four years working on a Master of Science degree, publishing numerous papers on chronic liver disease. He was offered a job at the Mayo Clinic as an assistant surgeon where he gained an excellent reputation. In 1930 he moved to London as his career went from strength to strength. However, he experienced a period of unemployment so contacted a relative, Sir Harold Gillies, to try to find some work. Sir Harold Gillies had been a plastic surgeon in the First World War and he offered McIndoe a position at the plastic surgery clinic of St Bartholomew’s Hospital, London. 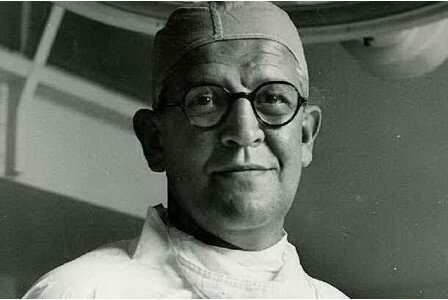 McIndoe quickly made a name for himself in the field of plastic surgery and moved to the Queen Victoria Hospital in Sussex. It was here that he established a Centre for Plastic and Jaw Surgery. Many airmen were treated here who had suffered facial disfigurement and terrible burns from exploding aircraft fuel, known as ‘Hurricane burn’. He also understood the psychological importance of rehabilitation and encouraged his patients to form their own club and wear their uniforms instead of hospital gowns. McIndoe was affectionately known as ‘the boss’ or ‘Maestro’ and regularly attended social events with ‘his boys’ as he encouraged reintegration into normal social life. The results speak for themselves. Many relationships bloomed between nurses and patients, with many marrying. Other patients met women form the local town East Grinstead, who they dubbed ‘the town that never stared’. Deservedly, McIndoe was given on international recognition for his incredible work at the Queen Victoria Hospital. He was knighted in 1947 before moving to East Africa to take up farming and help establish the African Medical and Research Foundation. He still returned to Britain, where he assisted in the founding of the British Association of Plastic Surgeons. His wonderful legacy continues through the Blond McIndoe Research Foundation at the Queen Victoria Hospital, which opened in 1961 and carries out research into improving treatments for wound healing.